Even though you may have digital backups of your files, your business is still obligated to retain physical records for a certain period of time. The retention process in New York City is easier when you know how long you need to keep your records for, and you can use this information to create a retention policy for your staff to follow. The records you store need to be in acceptable condition so you can refer to them if you need to, which means you’ll have to find a way to keep them safe throughout the retention period. Read ahead for a look at the essential rules of record retention. You need to keep important documents around for a specific period of time, but that timeframe depends on the type of document. Certain documents, like Bylaws and Share Transactions are crucial to your business and should be retained for as long as possible. There are other important documents that come with legal record retention periods. Most documents that you’re legally required to retain should be kept for a minimum of seven years. This includes documentation of credits, income, and employee payroll. You should also hold onto leases and contracts for four or more years after the end of the term. Knowing how long you should keep your important documents allows you to set up an effective retention policy. Record retention might not be something you think about every day, so rather than looking up the minimums every time you need to know them, create a retention policy. The policy should outline how long each type of document needs to be retained, as well as when and how you can get rid of documents that have passed the retention period. Part of record retention is keeping your documents safe. 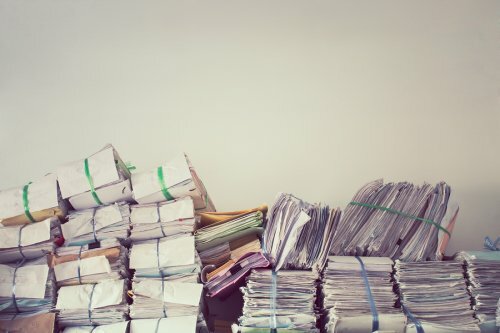 There’s no use in retaining documents if they’re destroyed when you pull them up, so consider hiring a professional record retention service for assistance. The pros will keep your documents safe, and they’ll make sure they don’t end up in the wrong hands. Keeping records is an essential part of doing business, but it can also be confusing and even burdensome to small businesses, who are already trying to juggle demanding workloads. Although you can’t skip your records keeping responsibilities as a business owner, you can find effective ways to manage them. Here is what you need to know about business record retention in NYC for your small company. Ideally, the records you keep should be the original, source documents, rather than copies. For financial records, this means keeping canceled checks, cash register tapes, credit card slips, and financial statements from your bank. Corporate documents, such as meeting minutes, property mortgages and leases, charters, licenses, and copyrights, should also be original documents. If you need to produce this information for tax purposes or a legal case, having the originals can be very important. Some documents, such as those that are related to establishing your business, should be kept indefinitely. Records retention for tax purposes is different. Generally, you should hold on to tax records for as long as the IRS could request them. Employee records should be kept for four years. Keep records of taxes owed for at least three years. The IRS has different rules for a variety of different business documents, which can be found on their website . Your business accountant can also help you determine how long record retention is necessary for financial documents. Not only does retaining records off-site make sense from a space perspective, but it is also safer and more secure. An off-site records retention facility will provide your important documents with greater security from fire, flood, theft, humidity, and other issues. Your records will also stay organized so that they are easy to access when you need them, and tracking software will let you know when the records were accessed and who accessed them, adding an extra layer of security. Your business needs to hold onto certain kinds of records in their physical forms. Business record retention in New York City is partially governed by federal law, so there’s certain patient and client information that your company might be legally required to retain. This might be tricky if you don’t have a lot of space to work with, and a cluttered office could also make it difficult to keep your documents safe. The record retention professionals can help you store your physical records, and they can help you destroy them when you’re done as well. Read on as we look at why you should use professional record retention and storage services. The proportion of paperwork your company generates to the size of your office space might not be favorable, which means you won’t have the physical capacity to store your records and important documents. You also don’t want to be tripping over boxes of files while you’re trying to conduct your daily business. You can save space in your office by working with professional record retention and storage services. The professionals can help you uphold your retention policy without taking up too much of your valuable office space. Saving your important documents is a useless practice if you don’t keep them in decent condition. Physical documents are susceptible to threats that their digital copies are not, and these hazards are important to consider. Paper products can become damaged when they’re stored in the wrong conditions. Business record retention and storage professionals will be able to keep your records in perfect shape, so they’ll be ready and waiting for you when you need them. Most records only need to be kept for a certain amount of time. Unless the documents are still useful to you or your clients after this period expires, you can destroy them. This frees up more space and makes sure that sensitive information doesn’t get picked up by the wrong people. Professional business record retention and storage companies can help you dispose of your records once you no longer need them. The paperless office is an admirable goal, but it usually isn’t possible to eliminate paperwork entirely. Certain important documents need to be preserved for a set period of time, but keeping them from taking up too much office space can be a hassle. If your company’s document retention policy has resulted in reams of paperwork, it’s time to start thinking about storing your important documents off-site in New York City. Which records do I need to keep? Why should I store records off-site? When a business is young, a filing cabinet will typically suffice for records management. But these records will continue to grow, and eventually, you might find that a significant portion of your office space is dedicated to records preservation. This is inefficient, and you can find a better use for the space. You might need to add a new conference table instead, for instance, or a couple of new desks for new employees. If you see clients at your office, storing records off-site is particularly important. Optics is everything for customer-facing businesses: What would your customers think if they saw stacks of paper piled up everywhere? The off-site retention of files is an easy solution. Will my records be secure when stored off-site? It’s likely that your records will be far more secure off-site than they would be in your office. Professional records retention services have the know-how and resources needed to keep your records secure and in good condition. How can I ensure easy accessibility of needed documents? You can access your important documents at any time. If you’re concerned about getting instant access, consider scanning documents to your own secure database. Then, keep the originals in an off-site storage facility. Having a retention policy can help to protect your business from legal troubles. This video discusses the legal reasons for the retention process. In the event that your business is involved with a lawsuit, your important documents can protect you during the litigation process. If your lawyers are unable to produce the necessary documents, you may be in danger of losing your suit. A company that offers business record retention in New York City can help you to keep your papers safe. If you are in need of secure record storage, contact a company that offers moving and storage services in your area. By outsourcing your record retention to a team of experienced professionals, you will have the peace of mind that comes from knowing that your documents are being kept safe at all times. You need to have a safe place to store your records when you run a business, so a retention process in New York City is something you need to think about. At UMC Moving, it’s our job to provide quality moving services as well as record retention storage services. You need to keep your records in top shape, but that’s not always an easy task to accomplish. That’s where UMC Moving comes in. If you’re wondering how you can keep your business records safe, continue reading for a look at our record retention storage services. A storage space is often necessary for your records, but it helps when it’s both physical and digital. The O’Neil Record Storage software that we use at UMC Moving is extremely high tech and can track each box as soon as it arrives on site. There will be a history log for each item that comes through, so you can always find out how many times you have accessed your file. Every item is labeled and scanned, with a content description in the database. We handle climate control, online access, and barcode inventory, and we have more than 80 years of experience in the industry. 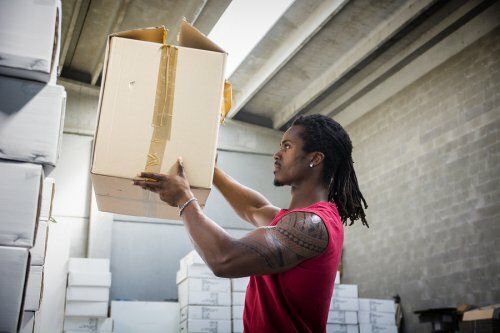 Why Take Advantage of Professional Packing Services When Relocating Your Company? Are you in the early stages of planning a corporate relocation in New York City ? If so, then you may have not yet considered your options for packing up your company’s furniture, files, office accessories, or equipment. For many businesses, hiring a professional moving service to handle the packing and unpacking process offers several benefits. One of the biggest advantages of hiring packers for your corporate relocation is having less to do. 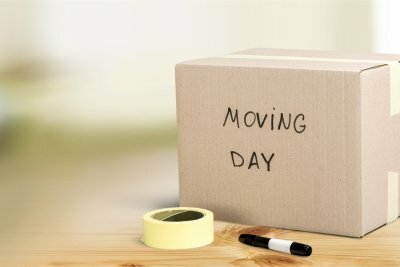 A company move is a significant undertaking, and leaving the packing to the professionals can remove some of the stress from the process and save you time, as well. Additionally, you won’t have to worry about sourcing the right supplies, and you can rely on professional movers to pack bulky or oddly shaped items in a way that minimizes damage. Finally, hiring professional packers for your commercial move can help prevent your staff from injuring themselves while trying to lift or haul heavy items. For these reasons, you should consider taking advantage of professional packing services for your upcoming corporate relocation. What Are Your Responsibilities Under HIPAA for Patient Record Retention? The Health Insurance Portability and Accountability Act of 1996, commonly known as HIPAA, calls for certain privacy and security measures and rules to be put into place for the protection of patients’ health information. HIPAA requires that your patients’ health information be kept and secured under certain safeguards, such as a qualified retention facility . This facility, and your practice’s retention policy in New York City, should be protected against physical damage, digital hacking, and unauthorized access. Continue reading to learn more about your responsibilities regarding patient and client information. Your retention policy for HIPAA information should include a secure facility that has limited access. There must also be a designated official who will develop and enforce the security policies and procedures for your retention policy. Ensure that all of your employees are trained and aware of the HIPAA policies, and ensure that those who work directly with patient and client information are fully trained in its management and retention. Work with your retention company to allow auditing controls whenever you need to examine the access records. This will help you maintain the integrity of your HIPAA information. Before you begin a major corporate relocation project, you will have to enlist key members of your management team to assist you with your move. While the physical portion of the move will be delegated to your professional movers in New York City , your management will need to oversee the logistics and planning phases of your corporate relocation process. Your management team will also play a key role on moving day. In order for your movers to be able to start transporting office furniture and boxes away from your old business location, you will need to have a member of your management team on site. A designated manager may also be required to sign off on any last-minute changes or alterations to your moving plan. By delegating some key moving responsibilities to a trusted member of your management team, you can be confident that your corporate move will go smoothly. When you relocate into a new office space, you will have a fantastic opportunity to downsize your inventory and make sure that your business operations are as streamlined as possible. Downsizing will also help to ease the transition when you undertake your corporate relocation in NYC. With services from movers in New York City , you can decide what will go with you when you move, and which items will be discarded or donated to charity. 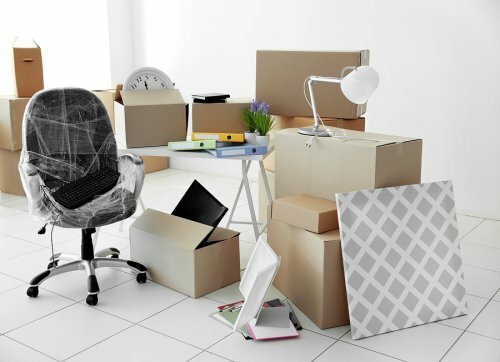 If you are struggling to get started on your moving procedures, here are a few handy tips that will help you downsize before your office relocation. In order to effectively downsize your inventory in preparation for a corporate relocation, you will need to make sure that your employees are informed about your downsizing procedures. You may want to ask each of your employees to work on eliminating unnecessary items and paperwork from their desks or workstations. Starting the downsizing process early will also give your workers plenty of time to get ready for your big move. If you have not recently taken an inventory of all of the items that your business has in stock, now is the time to do so. As you are making your inventory, you will be able to decide which items will come with you when you move, and which ones are no longer necessary for your business operations. If you have not used an item for a year or more, it may be time to toss it out. During the downsizing process, you will also want to make sure that you carefully consider the space that you will have at your new business location. If your new office location will be smaller than your current space, it is important to make sure that you downsize carefully. If you are moving into a larger office, you may not be required to get rid of as many things as you prepare for your move, but be sure to still discard any items that your business no longer needs. Commercial Movers in New York City. U.M.C. Moving Co., Inc. © 2018 All Rights Reserved.